Happy 1/11/11!! That's a lot of 1s. This is also from that Cooking from Above Asian book, but I switched some things up a little bit. Namely, I chopped up the bok choy and tossed it in the sauce instead of drizzling it over the top. This is super good, super easy, and pretty healthy. Toast the sesame seeds for a minute or two in a hot pan. Quarter the bok choy and jam it into the steamer basket, cover. Steam 3-5 minutes in your wok over simmering water. Stir together the oyster sauce and sesame oil. 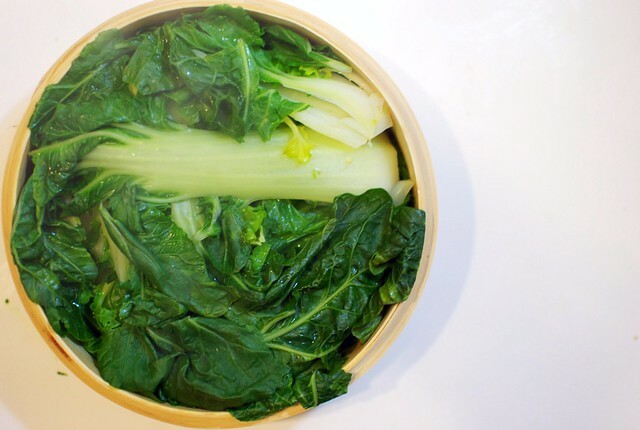 Chop up the bok choy (I guess you could do this before cooking) and toss with the sauce. Stunning picture! Looks delicious too. 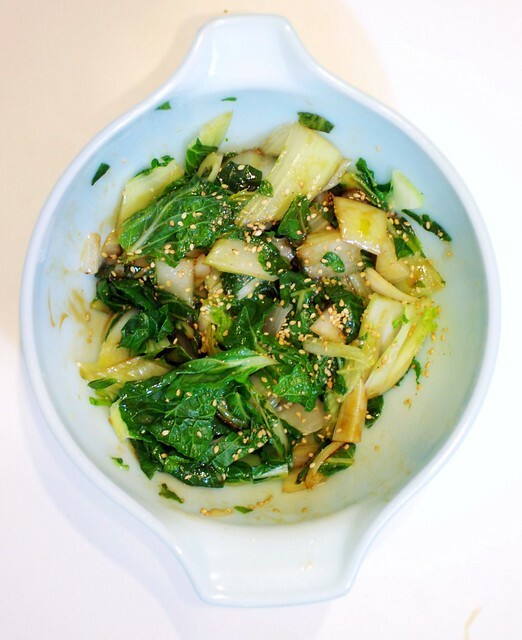 I love bok choy and am always looking for new ways to prepare it! I just got that cookbook! I love bok choy - and I love sesame. This would be 1 serving - just for me.